Research has proven what you probably already know anecdotally to be true: it’s common for men to skip recommended and needed medical care. In one study, men were found to be three times as likely as women to have not seen a doctor in the past year, and one out of three men surveyed did not have a primary care doctor. The study also showed that only 18% of men surveyed said they’d seek care as soon as possible for a health concern. Overall, men in the U.S. have a lower life expectancy than women by nearly five years. While biological factors might be at play, more and more studies are suggesting that this avoidance of medical care plays a larger role than we might have thought. We’ve seen that men are more likely to be hospitalized than women for congestive heart failure and complications from diabetes and pneumonia that could have been prevented with a vaccine. Translation: skipping preventive and illness care can lead to more serious problems down the line that can be costly and life-threatening. Transportation issues, lack of childcare and not being able to take time off of work are all constraints that both men and women reported as reasons for not visiting the doctor in a Kaiser Family Foundation study. It’s easy to see how any of these barriers could keep someone from seeking care. Interestingly, women reported experiencing these barriers at higher rates than men, yet men still visited the doctor less. Another common barrier to seeking medical care is cost. There’s no doubt that healthcare is expensive, particularly for the uninsured. Men are more likely to be uninsured than women; however, men also reported lower rates of foregoing care due to cost. We can see that men and women face a lot of the same logistical barriers — with women often experiencing them at higher rates. So why, even when they experience common barriers at a lower rate, are men going to the doctor less than women? More and more research is pointing to a gender-specific hurdle. Historically, men have been raised to be “tough” and stoic — to keep their feelings and pain to themselves for fear of being perceived as weak. And we’re now seeing how this is affecting the way some men interact with the healthcare system. In a study published in the Journal of Health and Social Behavior, men who reported having strong “masculinity beliefs” were half as likely to seek preventive care as men who reported moderate “masculinity beliefs.” Another study suggested that traditional social roles of men as independent and self-sufficient discourage them from assuming the dependent role of a patient. Further, we can also see that when men who hold traditional views of masculinity do seek care, they may not be fully reporting their symptoms or concerns, especially if they see a male doctor. What all of this research suggests is that a big reason men skip the doctor’s office is because they aren’t encouraged to openly express pain or distress, and aren’t raised to feel comfortable talking about their problems. 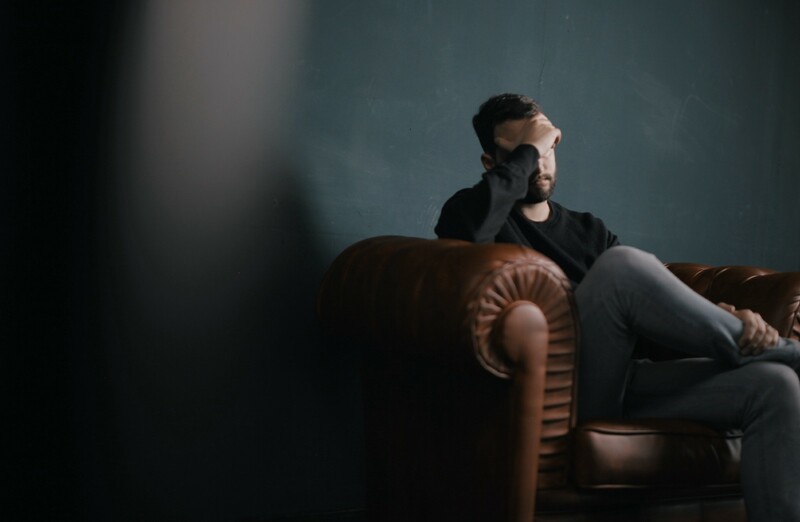 Overcoming these social barriers could be understandably more difficult when the symptoms needing to be addressed are ones that some may associate with traditional masculinity, like erectile dysfunction and hair loss. Getting regular healthcare is about feeling good. When you work with a doctor to catch small issues before they become big, and address health concerns when they do come up, he or she can help you fix the problem you might not be able to fix on your own, letting you get back to living your life. When you feel good, you can be your best at work, in your relationships, at home and anywhere else you want to be. Getting medical care is also something you can do for others in your life who care about you and rely on you. Working with a doctor to maintain your health and getting care when you need it may help you feel well enough to be your best in the various roles you might play in your life: husband, father, brother, friend, grandfather, son, etc. Blink is increasing access to diagnoses and prescriptions by making them more convenient and affordable. Search our list of medications to see if you could save on your prescriptions. If you wish to treat symptoms of erectile dysfunction or hair loss, Blink provides affordable medications, shipped free and delivered to your door. If you need a prescription, you can set up a consultation with a telehealth doctor during the checkout process, who you can speak with from the privacy and comfort of your home. When you feel comfortable talking to a doctor and can afford your medications, you can take the first steps toward feeling good — for your sake and the sake of those who care about you.